Yesterday was our first day of being "back to normal" after the excitement of the earthquake and hurricane. I use this term loosely because I don't really believe in "normal". I grew up different, but I was in some ways always seeking the normal life, the normal family and I would have loved to have had a normal look. My parents were divorced, that was not normal 35 years ago. I lived with my grandparents for a while, again, not normal. I felt different because I was overly OCD about things, a perfectionist and an over achiever. I often times was told "that is not normal". Lastly, I had red hair and a ton of freckles...this was looked at as different and a little bit strange and definitely not the "normal" compared to all of the california blondes with gorgeous brown skin. I come from a generation that no longer had both parents living together , that the Mom's usually worked outside the home, times were changing and our "normal" was changing. My husband and I decided a long time ago that we were not going to strive for this "normal life" that so many seek after. We wanted life to be interesting, exciting, an adventure, challenging, fun and memorable. This choice was made because we believe that life is not about a constant state of being in one place, but a chain of events and decisions that YOU make to LIVE. I believe living comes from many events and many changes. I believe we grow from the good and the bad. I agree, this is not for everyone and I respect that. I actually envy those that are content with very little change in their lives. For me, it's in my blood to be "gypsy" like. So, again, I use this word "normal" loosely because for a few days we had no power (YAHOO...we could unplug for a few days), we spent more time together (YAHOO...I miss my kids everyday) and we learned to cope in a very stressful situation (YAHOO...life skills at there best with Mother Nature as our instructor). I was amazed at how my little community had several families that were struggling to survive without power for a few days (even with all of the warnings and the need to prepare, many did not) because there lives were disrupted for a few days. We choose to live daily, we choose to be happy, we choose to not get our knickers in a bind if life deals us a change. It's what we wanted and what we hope for...adventure, memories and happiness. I struggle to live this "normal" life sometimes and I know that change will always be who I am. I know that for my kids, they need this time of "normal" to finish school so they can start their lives the way they want to lead them. I must be patient, content and function for a few years with this in mind. It's hard. I understand that this is not about me, but them. So for now, I will do my best to provide this "normal" that allows them safety, comfort and a sure knowledge that we are not moving for a while. 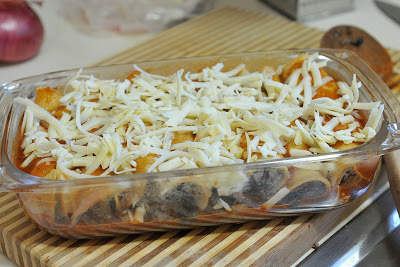 Yesterday, I decided that I needed something warm, cheesy and casserole-ish (another made up word..LOL). Somedays it just sounds good to me. 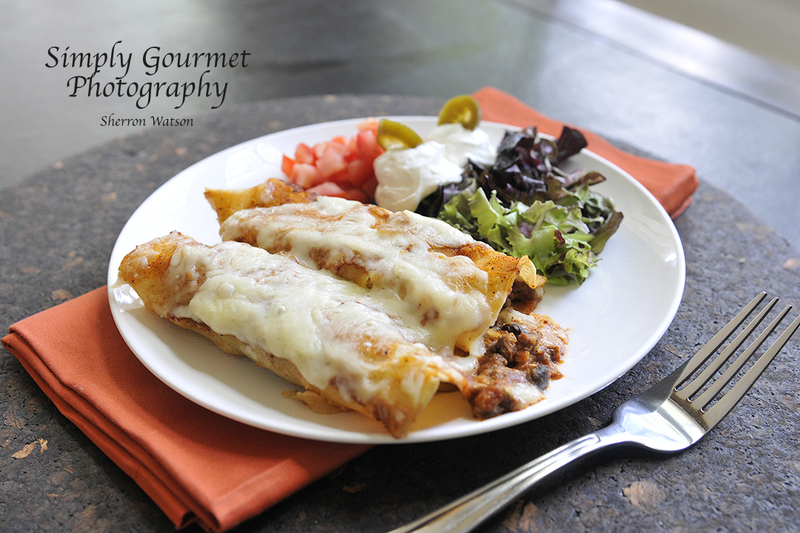 I love enchilada's and decided that this would be the perfect solution to my cravings. Unfortunately we did not have any enchilada sauce and I was not in the mood for a store run...the stores are still in chaos because of the food that was lost and some people and places still do not have power. DING DING...I am a cook, I can make some...YES I can. That is me talking to myself and so I set off to find a recipe that I thought would produce a yummy sauce. When I try to make something new I have a system I follow. 1. I google similar recipes. 3. I print off several I like. 4. I eventually end up making my own. I follow very few recipes to a tee. I am not sure why, I just love to do things my own way. This is the process I did yesterday. As I read each recipe, I felt they were too easy ( I wanted a rich flavor), too few ingredients ( I love spices and texture) and the reviews did not convince me that the recipe I was reading was the "one". I pulled everything from the cupboards that I wanted to include in my recipe. 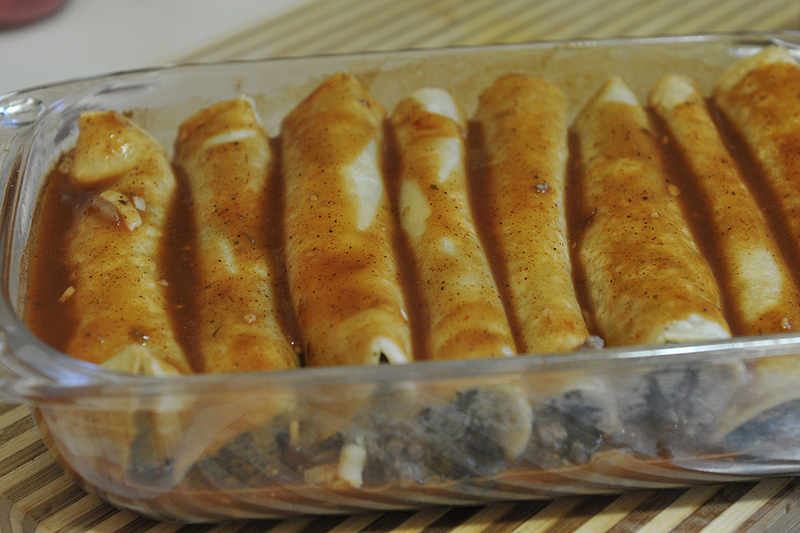 After reading several other recipes, I basically knew what I needed to achieve the flavor of an "enchilada sauce" and I came up with my own. Is this traditional or "normal" to a Mexican Enchilada Sauce? 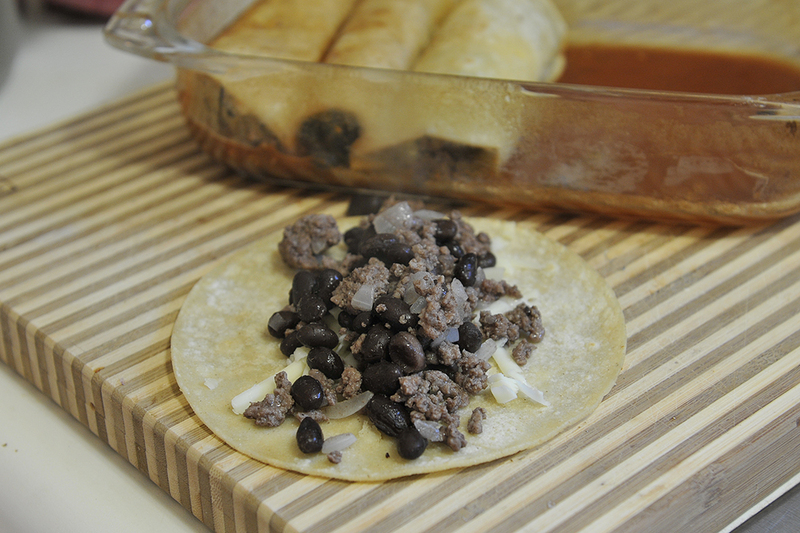 I have no idea, other than this is what I like, these ingredients taste great together and my family loved it. In cooking, sometimes we get hung up on the "normal" of a recipe: spaghetti sauce, pizza, mashed potatoes...they all have a "normal" flavor and presentation to them...BUT, it's okay to be different once in a while. What is normal to me is not to you. I love this about cooking, life and myself. I finally have accepted me and all of the aspects of my life that make me unique, different and , at times, not normal. LOL (in a good way...wink,wink). Have a great day! This recipe does make a lot. 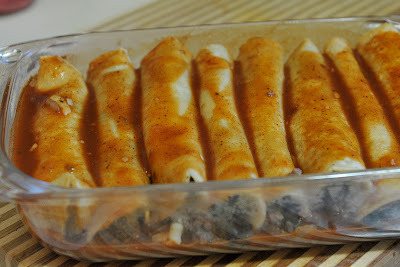 I will use a third today(actually yesterday), freeze a third for later and put the last third in the fridge for next week and make more enchilada's for my family (we don't mind eating things twice in one month). You can halve this if you don't want this much at one time. I like to make extra so I have meals started for the future. In a large pot, add the chicken broth, water and 1 1/2 cans of tomato sauce. Have your heat set to medium high. 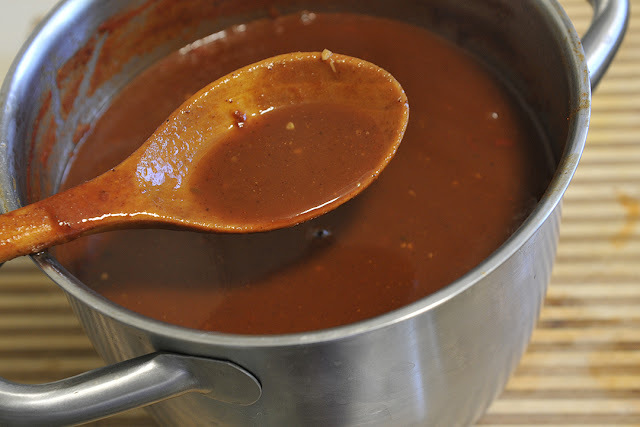 While this is starting to get warm, take the remaining tomato sauce and add this to a small bowl. Add the remaining ingredients and blend well. Slowly add this to your pot. Once your pot reaches a boiling point, it should start to thicken slightly. It will not be too thick. I noticed that as I would stir the pot, my wooden spoon would have some resistance...I could feel it. Turn your heat down to medium low and let simmer. I let my sauce simmer for about an hour. You need to stir it about once every 15 minutes. I noticed that I did loose about 1 inch of sauce during this process. You can see this in the picture below. I like this because it pulls the flavors together. I used minced garlic instead of powder...this is what you are seeing in the pot. I just love fresh garlic more than the powder, but you can use the powder if you like. NOTE: This sauce is one that you can add more or less of the ingredients above based on what you taste buds tell you. I will say, that with the chicken broth, be very careful with your salt. Taste, season and taste again. The longer it sits on the stove, the richer the taste. Heat oven to 350. 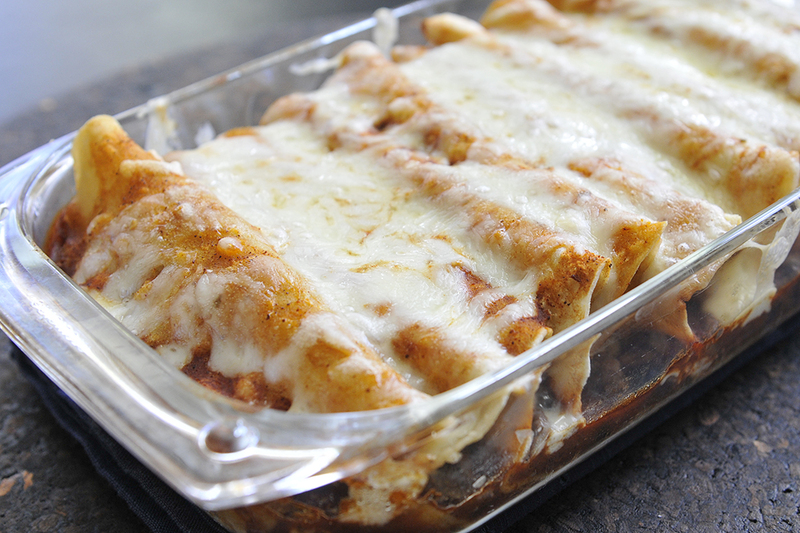 Bake enchilada's for 25-30 minutes. Everything is precooked, you just want enough time to melt the cheese and warm the enchiladas if they cooled during preparation. Prepare the tortilla's by cooking them slightly in oil until soft. Stack the tortilla's between napkins to absorb the extra oil. Grate about 4 cups of cheese. This is a personal choice as to how much cheese you and your family like. I used two small rectangle pans that each held 10 enchiladas. I took a soup ladle of enchilada sauce and put this in the bottom of each pan. 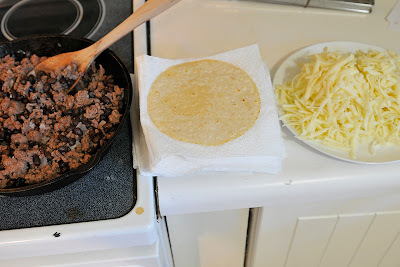 I added the meat/bean mix and some cheese to each of the tortilla's and lined them up side by side in the pan. 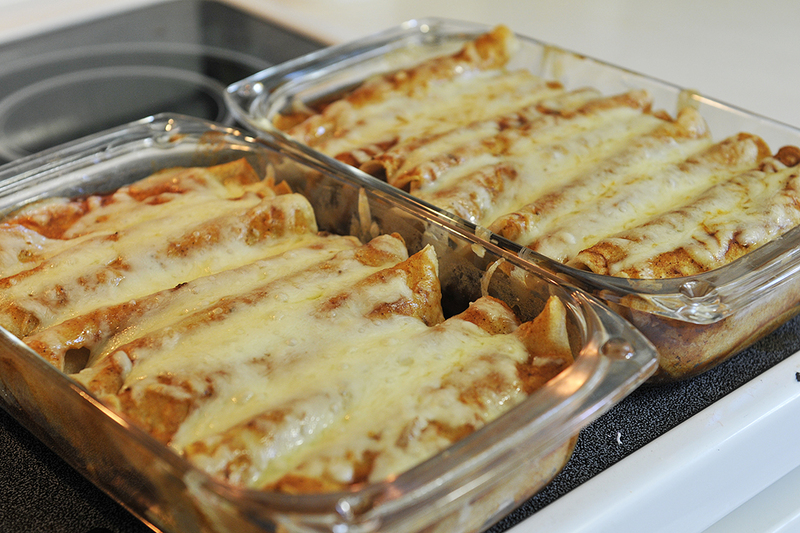 When the pan is full I cover the whole top with more enchilada sauce and then top with cheese. The tortilla's soak up the sauce as it bakes. Yum, yum, yum! Once again, your pictures look like I could eat them off the screen! As much as I enjoy visiting an checking out your recipes an posts your recipes, I am so in awe of your photography that they fade into the background. Thanks for your FB "like". This dish is something I would love to eat at the weekend as a treat. Looks great. Sherron I really really love what you said here. About being different. And not worrying so much about being normal. I tell my kids that all the time, but I think I am going to ask them to read your post ... especially my daughter. I think it will help them feel more "ok" with being different. And BTW I do exactly the same thing when I have something specific that I want to make! I usually have several tabs open with different versions of the dish and then I will meld them together to make my own thing. My sister tells me she does that too. The only thing missing in the sauce would be some chopped cilantro!! this looks easy and looks yummy! I hate store enchilada sauce. it always upsets my stomach!! Going to try this! !